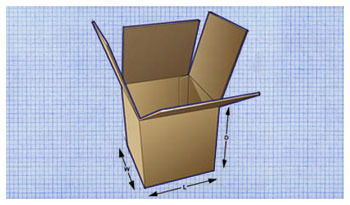 When measuring box please use inside dimensions. Best when product containment and puncture resistance are main concern. Best when stacking strength is main concern. Kraft (brown) is the most common when your main concern is to get your product to its destination. 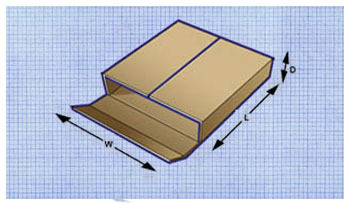 #3 White Corrugated Stock Boxes (most common) is typically used where a higher quality presentation appearance is desired. Also brings out the colors when printing your box. #1 white (bright white) is used when you are retailing or displaying your product in the box. Also brings out the colors when printing your box. #1 white (inside and out) is used when you are retailing or displaying your product in the box. 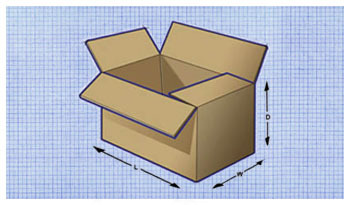 Also brings out a finer quality of printing when branding your box. 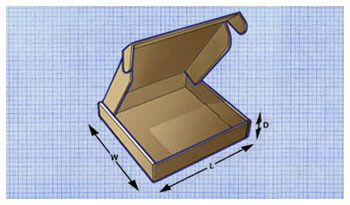 Used when a clean presentation is required like when shipping food or high end products.